The Centers for Disease Control and their health partners have launched a new campaign called “Up and Away and Out of Sight” to encourage parents and caregivers to protect children from accidental drug overdoses. The growing use of prescription drugs by adults is thought to be a contributing factor in accidental drug poisonings of children. The most common drugs found by and ingested by children are opiod drugs like Oxycontin and Percocet used for pain relief, muscle relaxers, sleeping pills, and heart medications. Medication poisoning of children ages 5 years and under increased by 22% between the years of 2001 and 2008 according to a study published in the Journal of Pediatrics. It is a leading cause of death in children ages 6 months-5 years of age. More than 60,000 young children go to emergency rooms each year because they ingested medications while their parents or caregivers were not looking. Children are very curious! Children younger than 5 years old like to put everything they find into their mouths. Children also tend to share what they find with other children so it is very important to provide adequate supervision at all times. Up and Away and Out of Sight offers parents a safety tip sheet. Some of the recommendations include always putting every medication and vitamin up and away every time you use it. Always store medications in a safe location too high for children to reach them and to see them. Always relock safety caps on medicine bottles-however, no medication can be 100% childproof. Never tell a child that medication is candy to try to get them to take it. Tell children what medication is and why you must be the person to give it to them. Remind any persons who visit to keep purses, bags, and coats with medications in them up and away and out of sight of children. Keep the poison control number close to the phone or posted somewhere where you can easily see it. The number is 1-800-222-1222. You can call this number 24 hours/day, 7 days/week. Improper disposal of medicines can lead to accidental ingestion by children. Do not throw unused or unwanted medications in the garbage where children can find them. Take unused and unwanted medications to a local drop off center. Many police departments and local pharmacies participate in this program. Visit Safe Medicine Disposal for ME at http://www.safemeddisposal.com. For more information about accidental poisoning or Up and Away and Out of Sight visit http://www.safekids.org, http://www.drugfree.org, or http://www.cdc.gov. Third and fourth graders are busy designing advertisements for the Newspapers in Education Contest… but we’re pretty sure they are still finding time to read! Here’s this month’s schedule! Thursday, February 2 – Mrs. Erwin will be at school at 9 AM. Monday, February 6 – GrowME team meets at PCSWCD at 9 AM–interested volunteers are welcome! Tuesday, February 7 – Mrs. Leeman will be at school at 9 AM. Thursday, February 9 – Mrs. Marsh will be at school at 9 AM. Tuesday, February 14 – Happy Valentine’s Day! Mr. Boomsma will be at school at 9 AM. Thursday, February 16 – Jump Rope for Heart means no bookworming! Friday, February 17 – Monthly Meeting at Valley Grange… Potluck Supper at 6 PM, Meeting at 7 PM. Don’t forget to go on vacation February 20 – 24! Bookworms won’t stop reading! Tuesday, February 28 – Mr. Boomsma will be at school at 9 AM. Our first yarn drive was a smashing success… we ended up with skeins, balls, and spools of many sizes, shapes and colors! Knitters Mary Annis, Debbie Burdin, and Pat Engstrom sorted and shared… and thanks to Mary and Debbie’s latest donation of mittens and hats, we delivered a shopping bag full to SeDoMoCha this week–just in time to beat Friday’s big storm. Thanks to these “blistered fingers” we now hope to keep both Piscataquis Community Elementary School and SeDoMoCha supplied through the winter, then begin building an inventory for the Piscataquis Santa Fund! We’re not through we can use more yarn and more knitters! 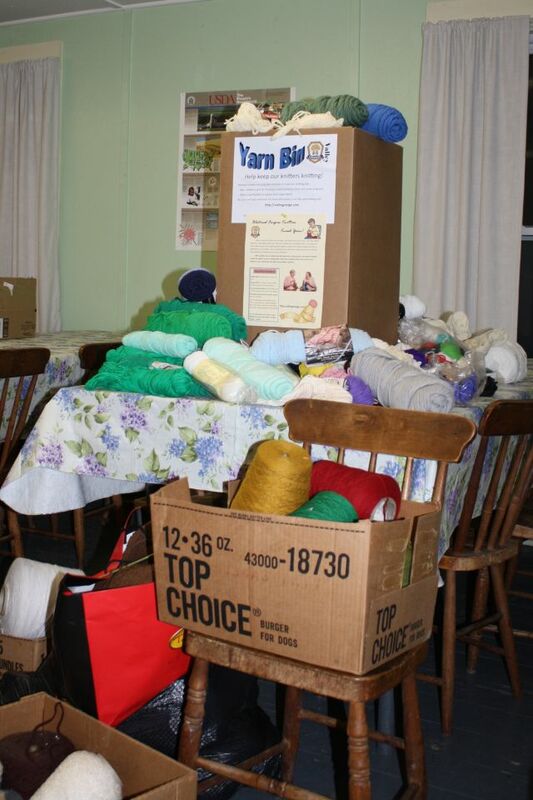 Yarn collection bins are available in Dover Foxcroft and Guilford (see sidebar) and we continue to recruit knitters. Idle hands are the devil’s workshop, it’s been said… so if you would rather be working for our kids and communities than for the devil, we’d love the help. Call Community Service Chair Mary Annis (564-0820) or send us an email. Thanks to all those who’ve helped so far! Kids To Start Drawing Ads! Third and fourth graders at PCES will be sharpening their pencils for art class next week as work begins on the “Newspapers in Education” Advertising Contest. Valley Grange purchases two ad spots from the Piscataquis Observer and the first place winner’s ad is printed in the March 28th edition. Grange members who’d like to help (and really have fun) are welcome to visit the classes to encourage the kids and answer questions about Valley Grange. If you have some time this week on Monday, Wednesday, or Friday morning, please call (343-1842) or email Walter for exact times. Unlike some art projects, this one isn’t too messy! By the way, some other upcoming projects require the use of seed catalogs and “chunks” of strofoam (NOT PEANUTS–blocks). Instead of throwing these things out, drop them off at PCES to the attention of Mrs. Daniels, art teacher. Thanks to the magic of the Internet… a “sister” grange learned about our linen project and shipped a generous donation to include with what we collected. Deer Isle Grange is located in Hancock County… and we appreciate their support! Thank you so much for joining Valley Grange’s effort to “support our troops” with donations of linens for the last troop to leave Iraq, now enroute to Germany by way of Afghanistan. We are pleased and excited that you learned about the project through our website… and want you to know that your generous donations were received and are now being repackaged with the items we collected at our last meeting. We’ll be shipping everything to Germany early next week. For your support and this wonderful example of Grange Spirit, thank you. One of the strengths of Valley Grange’s Dictionary Project is our determination to respect and involve all the parties by working with them. We appreciate the strong school support and enjoy how “dictionary day” has become something of a “rite of passage” in our schools. 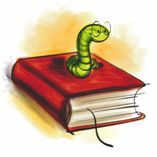 The folks at The Dictionary Project recently invited me to share some thoughts about what makes a good program great. The result is an article entitled, “When I Was Their Age…” in the current issue of their newsletter. Valley Grange has proudly gained a bit of a reputation for our work with the schools and kids beyond “Words for Thirds.” While the article focuses on dictionary presentations, it also reflects the balance we constantly strive to achieve in all our work. We appreciate the fact that our communities, teachers, administrators, parents, and the kids themselves help us. The weather outside is, at the moment, either frightful or lovely depending on your perspective. However, the snow is supposed to end this morning… and the Valley Grange Meeting for tonight is planned as scheduled! We have lots going on… starting with a potluck supper (bring a dish to share if you can) at 6 PM during which our blistered finger knitters are welcome to sort through our yarn donations… the meeting itself includes a short ceremony to honor recently departed members Laura Pratt, Marilyn Harvey, and Merna Dunham. Families and friends are invited to share in this… Garland Grange members are planning to “invade” us for the program featuring Denise Trafton of Penquis Journey House… the evening promises to be one of fun and friendship. sheets, pillowcases, towels and wash clothes to be sent to our troop arriving in Germany from Iraq and Afghanastan. seed catalogs — a new request and it might be a bit early, but if you have any you’re not going to use or you’re finished with, we can take them to the school for an art project starting in February. Of course you don’t have to bring anything but a smile! Come see what “Grange” is all about! While it might be difficult to think about gardening and farming in mid-January, a group of volunteers are doing just that. The result is a GrowME program being offered to K-3 teachers and schools in Piscataquis County. The program is the result of collaboration between Valley Grange, PCSWCD (Piscataquis County Soil and Water Conservation District) and UMaine Piscataquis County Extension. Walter Boomsma, program director for Valley Grange agrees. For the past few years he’s visited second graders at PCES to make butter. “We have fun and the kids almost don’t realize they are learning–some have even asked for instructions and then made butter at home as a family activity.” Grange members have also done seed planting activities and created animal graphs. “We also spend some time just talking with the kids—many have chickens and gardens and it’s fun to share experiences.” Richards has also seen positive impact of these hands on experiences—she’s visited a local preschool with a kid – the goat kind – for several years. After last year’s activities, she and Boomsma agreed to explore working together to expand and formalize the program. This year, the group is planning to focus on kindergarten through third grade but is hoping to make this an annual program and expand into additional grades. This year’s offer is for a GrowME volunteer to visit for about 20 minutes and work with students on a simple, grade appropriate activity. Teachers and administrators who are interested need only furnish contact information: teacher’s name-email address and grade. Interested teachers may email grange@boomsmaonline.com or call Shelia at PCSWCD, 564-2321. Citgo’s “Fueling Good” contest lets you vote once a day for your favorite charity… we learned about it from the most recent issue of the Penobscot/Piscataquis County Gardening Newsletter published by County Extension. Based on the votes received charities across the nation will receive a total of $120,000 in gas prizes. This comes at a great time because some of our local food cupboards are finding it necessary to consolidate distribution points due to gas prices. A few clicks and you can vote for Maine Harvest for Hunger… you will have to provide an email address, but you can decline receiving email. There are, of course, other Maine Charities you can vote for… let’s get some of this money to our state! We’ve got a great meeting planned for this month… and an important one to boot! Expect a great potluck supper… and we’re inviting our knitters to come and pick up yarn. We now have three collection points, including Piscataquis Community Elementary School—their box was half full last time I checked, Penquis, and the County Extension Office in Dover. Janice and I spent several evenings de-tangling and making yarn balls… we have another box ready to go! If you’ve got some extra yarn hanging around, bring it to the meeting! We’ve also had a request for afghan patterns that you might no longer need. If you have a large quantity of this stuff, I might even arrange for it to be picked up! Domestics, you have a call…! At least one other grange and several other organizations around the state have joined our efforts to supply linens to our last troops to leave Iran, soon returning to Manneheim Germany. We’re looking for single bed sheets and pillow cases, towels and wash clothes. Contact Mary Annis (564-0820) for more information or bring them to the meeting. The date is January 20th. We start with potluck supper at 6 PM… and good grange food on a cold winter’s night is just the right thing! You can check out the recently assembled book of thank you notes for dictionaries, too. We’ll have it toasty warm… and our meeting will begin at 7 PM. The “lecturer’s program” this month features Denise Trafton from Journey House. You are definitely going to want to hear about this—it’s a program that works! We now have 27 classes signed up in Greenville, Guilford, and Dover Foxcroft! Bookworms and Valley Grangers are going to want to “reserve” their spot early! The classroom activities will all need to be scheduled during Agriculture Week (March 12-16). Believe it or not, Newspapers in Education starts again soon… Ads must be completed and turned in by March 5th, so we’re already putting together the plan… This is huge fun and a great opportunity to teach third and fourth graders what the grange is about.